Cheap flights Tenerife needn't be no frill flights. 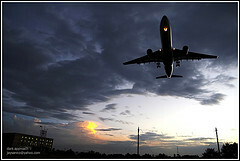 Cheap flights Tenerife are not only the most Spartan ones, some of which service the South airport TFS. Tenerife South Airport TFS. Reina Sofia. Never forget to check the North airport TFN options for low cost options. The past has shown it was worth it. However, not all know that who look for holidays. Economic flights to the largest of all Canary Islands are leaving from most cities of Europe. Several of the airlines operate very frequently. Twice weekly schedules are the minimum on offer. Most have landing rights for the TFS airport South. Iberia the Spanish airline queen of flights contributes by outsourcing. 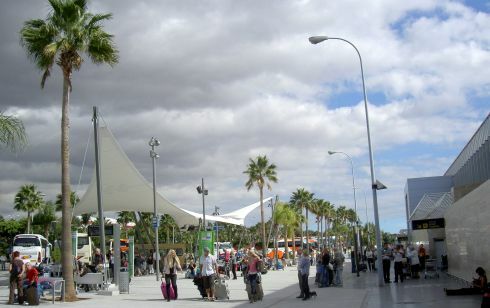 It connects Tenerife airports in the North and in the South on the cheap. Furthermore, its Iberia Express has five different tariffs. Two are for flexible flights, i.e. tickets. Mind Iberia Express doesn't always fly in all seasons. This was beginning of February of 2018 when the Tenerife holiday home insider even loved the Ryanair Curry that was available for lunch. Priority check-in was worth it. It was really speeding up the process. So no complaints for paying a bit extra. Only Iberia Express worked out better, as Iberia Express departed from the North airport. And, it had that generous hand luggage allowance. Most travel companies offer flexibility. But at a price... Meaning you can't just cancel or change flights and get your money back. Package travel deals, with hotels and car rental included complicate such matters. Therefor, the terms of all firms that make your escape vacation or business trip possible need to be read very attentively. Cheap flights Tenerife are no exception. The Tenerife holiday home insider and her daughter don't fancy jet2.com any more. Why? Their dog Jesse even traveled for free from Belgium to Tenerife South in August of 2012 with Jetairfly.com. Anyway, mistake or not, click to enlarge the photo of Jesse's IATA flight kennel and see the jetairfly dog travel sticker JAF, plus its number. All this is still on Jesse's neatly folded flight box. Note that a dog isn't allowed like airfreight in a cargo compartment. It needs a 'sponsor' which travels on the same flight, though. A dog alone on the plane means unaccompanied luggage in airfreight terms. The Tenerife holiday home insider knows this well, as she worked as manager in airfreight shipping in Johannesburg. The 25kg Jetairfly.com free baggage allowance may have changed but not the many connections to UK airports. Very recommendable were Jetairfly's very attentive flight attendants. However, its low cost, spicy Vegetarian dish may be history by now, as it was on its menu quite a few years ago. 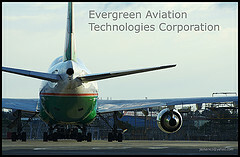 Besides, this company is said to use ultra modern airplanes which are more environmental friendly. Photo by Jaysico. You need his permission to use Jaysico pictures. The cheap airline Norwegian continues its flights from London Gatwick to Tenerife besides other UK airports on regular intervals. It also connects Scandinavian destinations, such as Norway, of course. We may assume that free Wifi and flight entertainment are still features of its travels. Monarch Air had a general good track record of many years with an Extras Pack. This wasn't for free but worth it, as it included more legroom. Unfortunately, it is one more airline that has followed the list of past carriers, already in 2017. Wondering if Thomas Cook still offers its cabin entertainment for small fees. Its long haul flights had the larger program. Also mind its traveler check services in the past. Its flexible trips were said to make vacation extension possible. Great... However, it may be expected that other changes must be taken with a pinch of salt. High seasons and hotels that are booked out will certainly create problems in some locations. Also much depends on the skill and goodwill of people on site who handle it. Gran Canaria began in 2013 to get onto the list of long haul flights by Air Morocco. 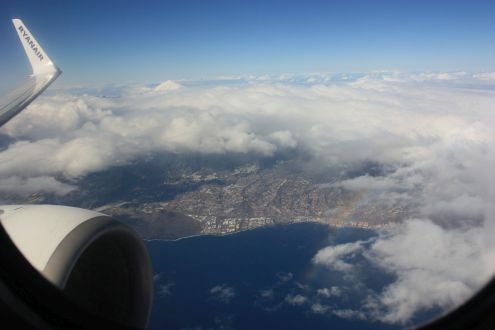 Indeed, Tenerife South followed suite with many different airlines doing round trips even on weekends. The latter isn't cheap enough for the budget of most expats in Tenerife, though. Photo logo EGAT created by Jaysico. Iberia Express stopped frequent flights from TFS Reina Sofia airport straight to Majorca. Only possible from Madrid or London now... But this service may come back. Ryanair is tops for cheap flights Tenerife, says Marion. Never mind its strict criteria for luggage such as 55cm x 40cm x 20cm and limited cabin services. She happily claps hands like others when the captain manages a smooth landing. The airport of Frankfurt Haan in the middle of nowhere isn't an issue for her. A sister meets her there and takes her home to former East Germany. Most Ryanair airports have poor public transport connections. The following is one of the exceptions to the rule. The cheap flights Tenerife to Maastricht/Aachen merit special attention. Why? A reliable bus connects the humble airport for only €10. From Aachen, Europe is at your finger tips by way of the Bundesbahn trains. She booked online a low cost flight with Condor to Duesseldorf, once. A pleasant experience... Still in 2016, this carrier connects many German cities with Tenerife South. It also has taken Tenerife residents yearly to the Duesseldorf Carnival. 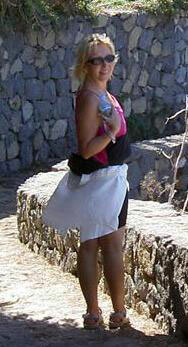 However, it's to be checked in detail if they still fall under the category cheap flights Tenerife. Also, many airlines just like Condor face difficult times ahead. Stronger competition and higher fuel prices don't help. 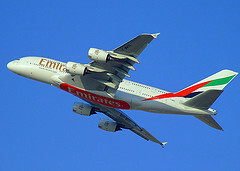 By the way, the airbus380 was also in the pipeline for no frill flights to Tenerife. 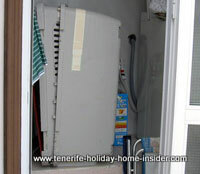 Once, the Tenerife holiday home insider missed a flight from Düsseldorf to Tenerife. Staying over in a hotel to use the next cheap carrier would have been very costly. She rather bought a round trip of a regular Iberia flight. The flight service was excellent and would have been relatively low cost, had she used her return ticket, as well. Indeed, under the right circumstances any flight can turn into a saving. Flights Google were recommended to the Tenerife holiday home insider at the end of October 2016 by the owner of the Toscal Longuera IT shop. Certainly, this option covers all airlines and destinations. So no need to list all of them here. She herself has the best experience with Iberia Express. Iberia Express news from Los Rodeos to London for Tenerife North residents. The Tenerife holiday home insider flew from TFS to Munich with Tui flights in July 2018. The food of the cabin was said to be good but, she was disappointed, while the cabin baggage allowance is also very poor. However, the flight arrived one hour early in Munich due to backwinds. Also, Tui seems to operate very fuel efficient aircrafts. Use the wisdom of experienced travelers! A cheap second hand flight ticket? Never buy flight tickets that are not in your name. Tickets are not transferable by law. You will not be covered in case of an accident. Every travel agent will tell you that. This happened just before friends of mine were due to travel back with them on February 08, 2019. They were lucky to be taken by Condor to a less convenient destination, two days later. However, they had to pay again without any refund, as they had not booked a total holiday package with Germania. This is said to have been the third low cost German airline that went under during one year. Now there are rumors about Condor being in trouble. Getting to Tenerife partly overland with fun or adventure on the way.